Investigative journalists in Chile have uncovered a number of previously unreported political executions under General Pinochet’s reign of terror, including the execution of the Nobel Prize-winning poet Pablo Neruda. More than 3,000 Chileans were “disappeared” after the CIA-plotted coup in Chile. Investigative journalists at ArchivosChile patched together files from the Legal Medical Service, the General Cemetery, the Civil Registry and the Military Prosecutors. They discovered 890 politically motivated deaths between Sept. 11 and the end of December 1973, according to the Santiago Times. Henry Kissinger, then Secretary of State, played an instrumental role in the coup. He chaired the 40 Committee, a high-level enter agency group, that ordered the CIA to destabilize the country and plot a military coup installing a military dictatorship that lasted 17 years. Following he coup and the murder of Allende, Pinochet and his military created DINA, the Dirección de Inteligencia Nacional. 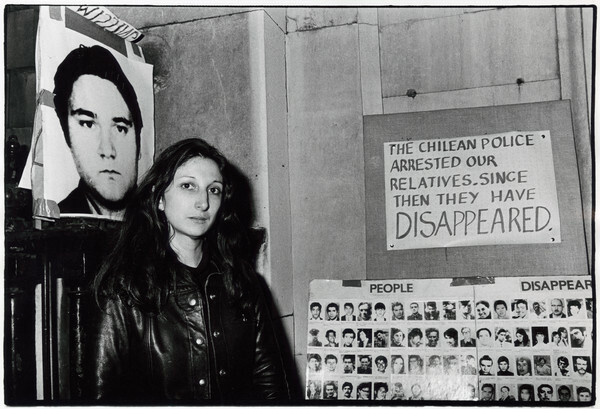 DINA served as the primary secret police organization for political repression in Chile under the military dictatorship. DINA not only tortured political opponents, but also assassinated them. In 1976, working with the CIA, the French OAS and the Italian fascist terrorist Stefano Delle Chiaie, DINA assassinated former Chilean minister Orlando Letelier and American political activist Ronni Moffitt in Washington, DC. Pinochet’s regime also initiated Operation Condor, a program for the joint monitoring and assassinating of dissident refugees in much of Latin America. Operation Condor was given tacit approval by the United States and resulted in the murder of thousands of activists, including an estimated 30,000 socialists, trade-unionists, and relatives of activists in Argentina. The United States now has its own version of Operation Condor under the National Defense Authorization Act, signed into law on December 31, 2011 by Obama. In addition to issuing a carte blanche to indefinitely detain citizens – in Chile, they are called the desaparecidos, the disappeared – the legislation reinstates “enhanced interrogation techniques,” i.e., torture. It compliments an earlier decision that Americans are legitimate military targets and may be assassinated – as cleric Anwar al-Awlaki allegedly was – on orders of an executive branch that has since the Bush years increasingly resembled an imperial presidency. “The Bush regime operated as if the Constitution did not exist. Any semblance of constitutional government that remained after the Bush years was terminated when Congress passed and President Obama signed the National Defense Authorization Act,” writes Paul Craig Roberts today. We now live in a military dictatorship little different than the one that ruled Chile. As of yet, the military is not “disappearing” Americans in large numbers and herding them into sports stadiums little different than the National Stadium in Santiago where 40,000 political prisoners were detained under Pinochet’s CIA-enabled reign of terror. Political prisoners held at a sports stadium in Chile. How long before the military in America sets up its own Caravan of Death – a notorious roving death squad in Chile – or establishes counterparts to Colonia Dignidad, the ship Esmeralda or numerous other torture and execution centers in Chile? We are one false flag terror attack away from a full-blown Chile-style police state. The establishment media assures us the next attack will not come from al-Qaeda cave dwellers, but rather domestic “extremists” and “lone wolf” terrorists. The Department of Homeland Security and the globalists at the Council on Foreign Relations assure us that the coming terror will resemble Oklahoma City in 1995 – in other words it will be perpetuated by “rightwing extremists,” defined by the DHS, MIAC and “fusion centers” around the country as returning veterans, Second Amendment activists, constitutionalists and Ron Paul supporters. Following that event, the police state apparatus the state has meticulously crafted over the last twenty years will be put into full motion and it will make anything Pinochet and his military did to the people of Chile pale in comparison.